TL;DR:In the final part of our interview series on BeneYOU’s commission solution for the Jamberry brand, we learn how the company used Hyperwallet’s Loyalty add-on feature to drive card adoption and increase sales activity. At Hyperwallet’s Customer Council Summit in 2016, Jeff Stephens, (currently BeneYOU’s Vice President of Finance), took some time to discuss the company’s search for a new payout partner and explain how Hyperwallet ultimately helped the Jamberry brand take its business to the next level. In this final part of our interview series, we take a closer look at how the Jamberry brand used Hyperwallet’s Loyalty add-on to quickly migrate payees to its new solution while simultaneously increasing sales activity. You can read part one of this interview series here, and part two here. Even if BeneYOU had found its ideal commission partner for the Jamberry brand, the company still faced a major administrative hurdle. 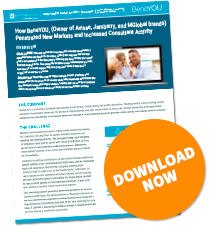 Switching the Jamberry Consultants from one payout program to another would be no small task, but BeneYOU needed to minimize the costly period where it would be forced to support two separate commission solutions. “[Running two programs simultaneously] would have taken too much energy, effort, money, engineering skill, and time,” Stephens noted, “and it would just cause confusion for the Consultants.” Fortunately, Hyperwallet had a solution. BeneYOU completed Jamberry’s integration with Hyperwallet in 2015 and relied on the payout platform as the company expanded into Australia and New Zealand. The following year, Hyperwallet supported the brand’s launch in the United Kingdom and Mexico. The Jamberry brand’s rapid international growth has been met with positive results: in 2016, the brand found itself at #64 on Direct Selling News’ 2016 Global 100 and #37 on the 2016 North America 50 (based on yearly revenue). The brand is poised for further expansion in the coming years, looking to new markets in Asia, South America, and Europe. Of course, it wouldn’t be possible without Hyperwallet. That’s it for our interview series with BeneYOU and the Jamberry brand. We’d like to thank BeneYOU, and Jeff Stephens in particular, for their support in putting this interview series together. Want the full story on BeneYOU’s new Jamberry commission payout solution? You can download the complete Jamberry case study here.